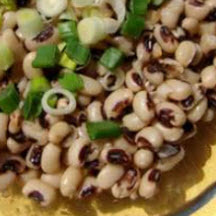 CooksRecipes has quality, kitchen-tested recipes for salads featuring peas as a main ingredient, including green peas, black-eyed peas and pea pods. 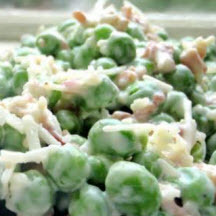 Crushed pineapple adds a sweet twist of flavor to this tasty English green pea and cheddar cheese salad. A marinated salad of black-eyed peas, chopped marinated artichoke hearts, green onions and bell pepper in Italian dressing. 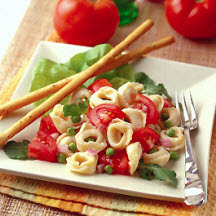 Recipe courtesy of Florida Tomato Commission.